Sugar...not so great for the inside but wonderful for the outside! 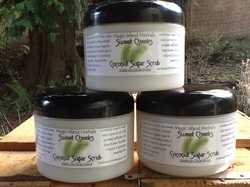 This luscious lightly sweet smelling scrub is another fantastic way to exfoliate and moisturize. Made with organic sugar and coconut oil and shea butter. 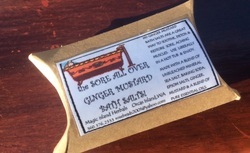 This therapeutic blend of ginger, mustard, mineral salts and pure essential oils is a wonderful way to soak the aches and pains of the day away! Use liberally in a hot bath.